Derick Winkworth, Paul Gear, and Darren O’ Connor chat with Ethan Banks about their experiences with OSPF. The major focus of the conversation is on single vs. multiple areas. What should the reference bandwidth be set to? How big of an integer does OSPF use to store the cost metric? When should your OSPF design assume one area? Does that old guideline of “50 routers in an area” still hold true? When is it wise to split an OSPF domain into multiple areas? The differences between what you’re taught in a certification program and reality. 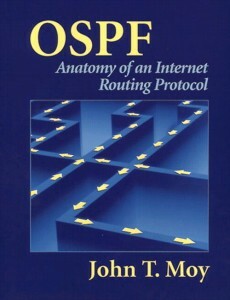 How does route summarization play into OSPF area design? OSPFv3 & IPv6: how are real-world deployments going? Timer and tweaks and oscillations – oh, my! Why using Bidirectional Forwarding Detection (BFD) is better than tweaking OSPF timers.